When my Dad requested a buttermilk pie, I was immediately skeptical. Buttermilk, a fermented version of cow milk, is thicker because the acid content (which also gives it a sour taste) denatures, or unravels the milk proteins (mostly casein). 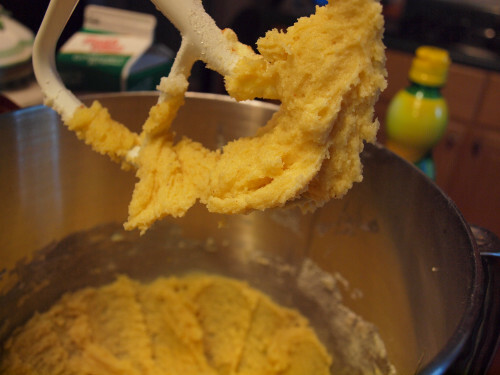 I used cultured buttermilk, made with lactic acid bacteria, for more thickness. 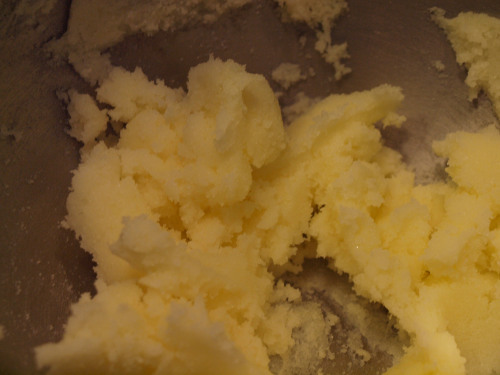 For a smoother texture, I creamed the butter and mixed in the sugar. Adding the buttermilk. 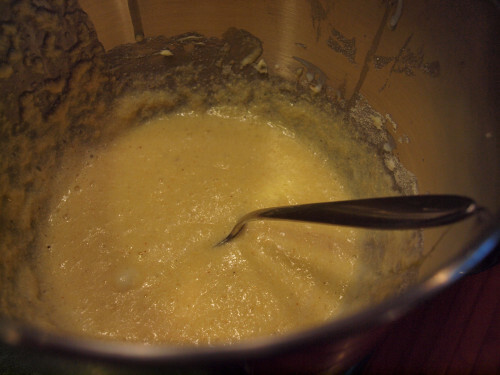 The mixture took on a semi-curdled appearance, but poured easily. I whipped the egg whites from the yolks I added earlier, and then combined them with the buttermilk mixture. The whipping gave a lighter texture to the filling. I partially pre-baked the shell and then baked the filling in the crust. The texture was perfect, but alas, only my Dad really liked the flavor. 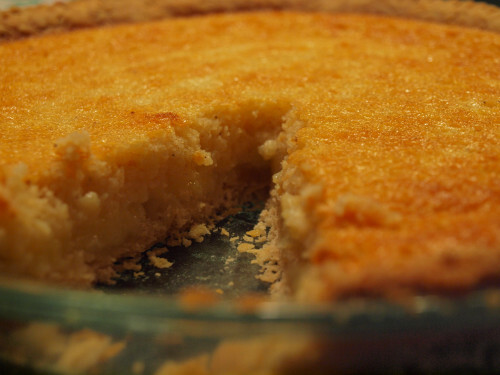 Richly tangy, buttermilk pie requires a different kind of consumer than myself. Then again, I am not a big fan of especially sour yogurt either. With a sourness that lingered in my mouth, I did not go back for a second piece. My Dad didn’t mind my aversion though, all the more for him! Pics or it Didn't Happen: Sour Cream and Raisin PieIn "Food"
Pics or it Didn't Happen: Chicken Pot PieIn "Food"
Pics or it Didn't Happen: Lemon Meringue PieIn "Food"
Filed under Food, Pics or it Didn't Happen, pie, Zach B. 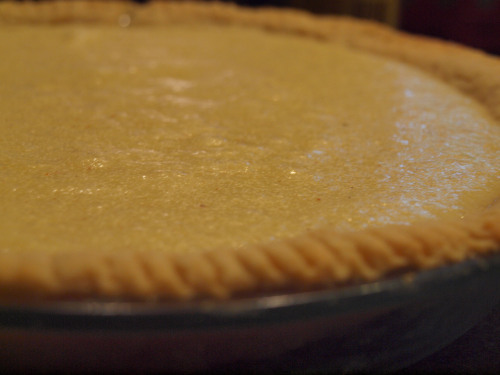 Tagged as Baking, Buttermilk, Buttermilk Pie, Food, food photography, Pics or it Didn't Happen, Pie, Recipes, Zach B. That looks amazing. I use buttermilk a lot in baking, but haven’t tried this or chess pie and really want to. Sounds delicious and unusual. I’d be more tempted by tangy rather than sweet so going to give Buttermilk pie a try.